The fact that Hindu Astrology is as ancient as the Vedas is a reality which is difficult to disprove. Movement of the planets through the Zodiac have an influence on all entities, whether they be Human, Animal, Plant of Mineral. This has been so since the beginning of time and shall remain till the end of time. The true knowledge of Astrology, therefore, can only extend from the creator Lord Brahma himself; working under the instructions of the supreme energy created the Universe and our solar system. 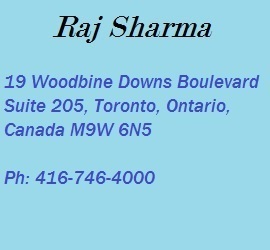 Astrologer Raj Sharma was born in India grew up and educated in England (U.K.). Since childhood Mr. Sharma has been drawn towards the miraculous science of Para psychological phenomena. It was during his mid teens when he first purchased a book on the subject of Astrology, numerology and other forms of ways to decipher what the future may hold.